Left to run autonomously, marketing platforms powered by artificial intelligence (AI) can avoid mistakes humans make. Rather than fear it, marketers should leverage this to better focus on producing value-added quality. 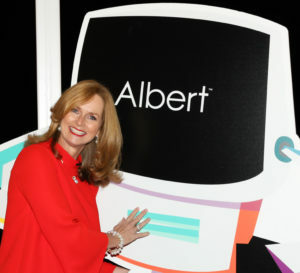 AI marketing systems could watch and analyse consumers’ digital journeys, and decide the best way to spend media dollars, says Naomi Simson, co-founder of Australia’s Big Red Group (BRG). Describing AI as the ability to read and learn from data and adjust outcomes, she said AI-powered marketing systems enabled the delivery of “true one-to-one” messages. BRG just inked an exclusive reseller agreement to offer AI digital marketing platform ‘Albert’ in the Australia and New Zealand markets. It marked the first time the product would be sold directly in Asia-Pacific. 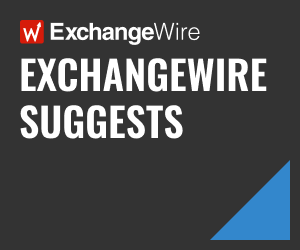 Speaking to ExchangeWire in a phone interview, Simson explained that Albert enabled brands to deliver tailored messages based on, amongst others, consumers’ previous activities, and the types of products that were most relevant and likely to appeal to them. 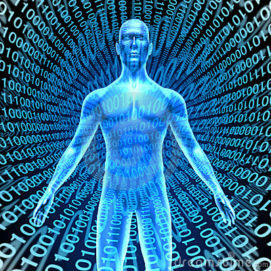 Developed by Albert Technologies in 2010, the AI platform was able to scour “massive amounts of data”, convert these into insights, and act independently on them. The AI tool analysed data from various sources, including Google, Microsoft Bing, Facebook, a company’s CRM systems, display ads, TV and radio schedules, product feeds, and transaction activities. The more information it assessed, the better it was able to predict and act on outcomes. It could, for instance, move an ad placement to Bing or email if it determined either platform yielded better results. It made such decisions automatically, providing alerts and data insights on a consolidated dashboard. “You don’t have to touch it. That’s the point [of the AI system]; it’s completely autonomous in terms of how it’s running”, Simson said. Specifically, Albert could be tapped for tasks related to the creation of text ads and images, taking information from the client’s product database and producing images based on templates. There had been concerns, however, that machines were not infallible and automation could lead to errors. Programmatic, for instance, had been touted to deliver better efficiencies through automated buying and selling, but also had resulted in anxiety over ad fraud and brand safety. Asked about potential concerns regarding AI, Simson urged brands not to make their assessments based on fear and noted that employees, too, might not always do the right thing. “The dashboard [Albert provides] is clear. We know exactly what’s going on and you see what’s going on. You give it the creative and KPI (key performance indicator) and it does what it’s told. Most people don’t do that”, she quipped. Their ability to analyse data and respond rapidly across different channels also meant AI marketing systems could perform a feat that was physically impossible for humans. Simson pointed to BRG’s e-commerce business unit, Redballoon, which piloted the Albert platform internally and was able to achieve more than 25% reduction in customer acquisition costs within 30 days. The AI platform was able to identify and execute more than 6,400 keyword ads within 24 hours, driving up performance for the business, she said. This level of intuitiveness, and at that speed, was simply not physically possible for humans to achieve, she noted. Freed from having to work through such menial tasks, marketers then would be able to focus on producing “value-added content and value-added quality”, she said. It also cost upwards of AUD$20 (£12.15) today to acquire a customer, compared to five cents in 2001, when Simson started Redballoon. “This is completely unsustainable for any business”, she said. Just as roles associated with manual and process-driven tasks had been largely replaced by technology over the past decade, the next wave of technology was beginning to replace roles higher up in the level of functions. Marketers must stay open-minded, especially in a landscape that currently is a cluttered space, Simson said, adding that marketing is increasingly challenging and a complex science. Companies should focus on finding tools that work for their business and can generate the outcome they want. “We should not be fearful of [AI] as it frees up our people to focus on the higher value tasks like collaboration, strategy, and creativity – human and higher functioning skills that, at this point, cannot be replicated, and certainly not replaced, by AI”, she said. The reseller agreement, which was based on a revenue-sharing model, would enable BRG to distribute Albert to third-party media companies and directly to retailers. A wholly owned subsidiary under the group, called Big Albert AI, had been set up to oversee operations. Asked if it would work with media agencies looking to tap AI for their own clients’ campaigns, Simson said this would depend on the agency’s reach and capabilities. For now, though, her team would be focused on working directly with brand customers.